When functioning properly, a gas furnace keeps your home warm and comfortable. However, a poorly maintained or installed furnace can become a source of danger in your home. 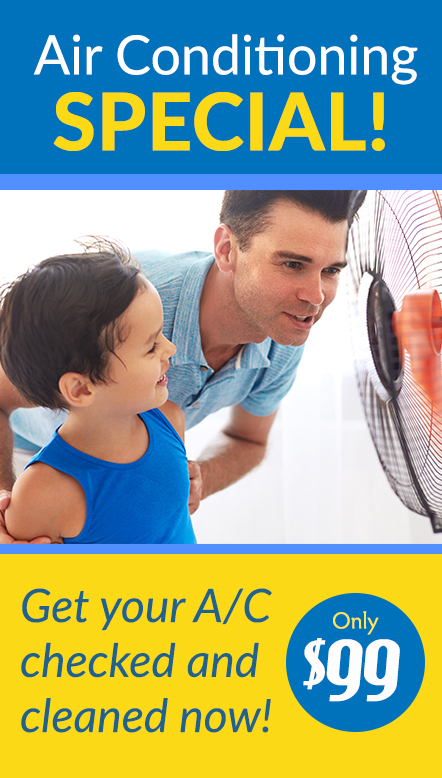 And as your furnace gets older and works harder, the potential danger grows. That’s why it’s important to schedule an annual furnace repair appointment and fend off any safety concerns. Exactly how dangerous are those safety concerns? Well, fuel burning appliances like gas furnaces naturally produce very low levels of carbon monoxide during the combustion process. But if an appliance like a gas furnace isn’t working correctly, it can output dangerous levels of carbon monoxide through small, invisible cracks in the combustion chamber. As an odorless, colorless byproduct of gas furnaces, carbon monoxide build-up poses a silent, and potentially deadly, threat to homeowners. As home heating experts, we’ve been catching home carbon monoxide leaks and ensuring furnace safety for over a hundred years. 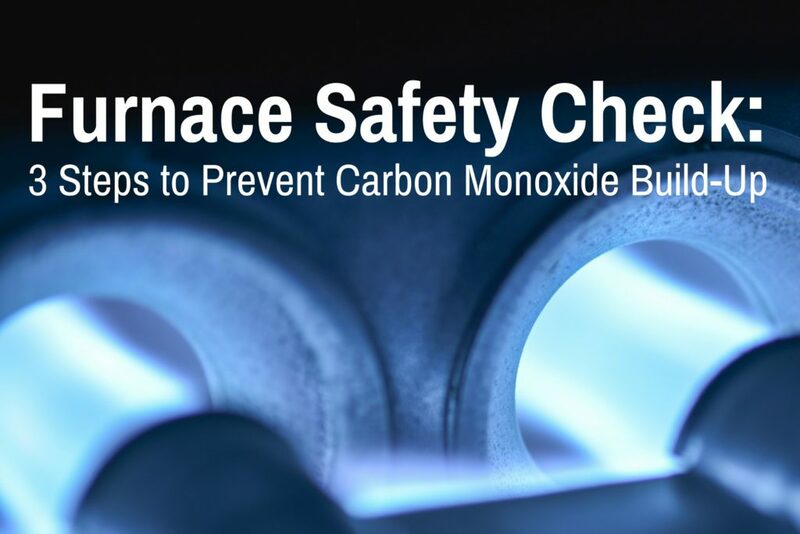 Through our experience, we know that there are steps you can take to ensure the safety of your furnace and protect your family from potential carbon monoxide poisoning. Read on to discover those steps. Over 500 people in the United States die every year of carbon monoxide poisoning. Follow the three steps outlined below to save your home and family from potential harm. Since the signs of carbon monoxide contamination are all but impossible for the untrained eye to spot, it’s important that you have a professional inspect all of your fuel-burning appliances at the beginning of every heating season. Your local heating professional will be happy to offer their furnace repair, maintenance, and cleaning services to ensure that your gas furnace is operating at peak performance. *Note: Replacement parts will likely be an additional cost if needed. If you feel up for cleaning and maintaining your own furnace, check out our basics of furnace cleaning or DIY furnace maintenance guides. The state of Minnesota requires that only licensed professionals install gas piping for a good reason. Improper gas furnace installation can lead to a lot of problems throughout the life of your furnace, including improper combustion and ventilation that can lead to carbon monoxide contamination, so make sure that you hire an experienced professional to install your furnace. Since carbon monoxide is an odorless and invisible gas, carbon monoxide detectors are the best way to be aware of carbon monoxide levels in your home. Install at least two carbon monoxide detectors in your home—one near the room that houses your furnace and the other near your family’s bedrooms. You’ll also want to make sure that the carbon monoxide detector that you select meets the safety requirements of Underwriters Laboratories (UL) or the International Approval Service (IAS). Also keep in mind carbon monoxide detectors need to be replaced every 5 years in order to maintain functionality. Don’t have carbon monoxide detectors? For a list of highly rated carbon monoxide and smoke detectors, check out Consumer Reports. 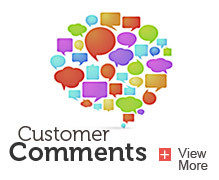 A clean and well-maintained furnace is a safe furnace. 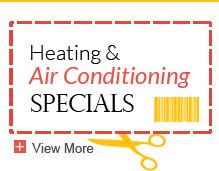 At Welter Heating, we offer our furnace cleaning and safety checks for just $99. Contact us to schedule a furnace cleaning and safety check-up to ensure your home is protected.